Improving mankind is not science fiction anymore. This is the era of gene editing, nanotechnology, synthetic biology, and much more. 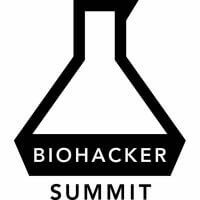 This platform is curated by biohacker and DIY-futurist Peter Joosten Msc. The goal is to facilitate the discourse and discussion on the topic of the Superhuman Era. What are the main tools for improving mankind, what are the most interesting developments, what is the time span of those developments, and what are the implications on mankind and the planet? These questions will be featured on this platform, through articles, videos (including interviews, vlogs and lectures) and podcast interviews. What will happen to society when we will upgrade humans? These are the most important developments and implications. 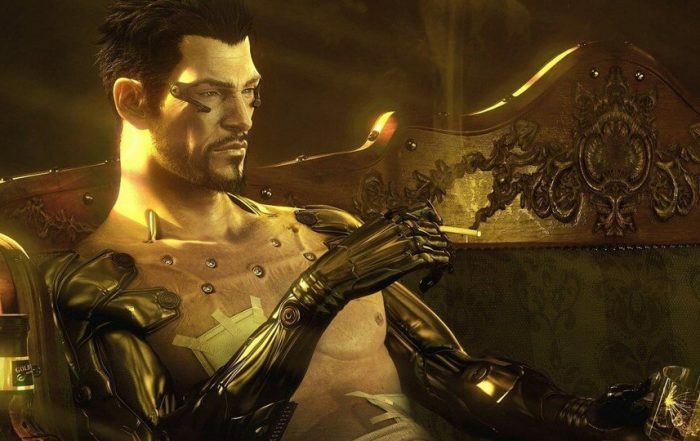 We can create stronger and smarter people by augmenting the body with electronics or exoskeletons. It will be easier to treat diseases and optimize people with, for example, artificial blood substitutes or retinas. By using technologies as CRISPR/Cas9 we can manipulate the human genome directly. With nootropics such as Modafinil, we can increase focus and attention in an easy and controlled way. What does it mean to be human? When changing our biology, it can change our feelings, creativity, interests, spiritual sense, and much more. 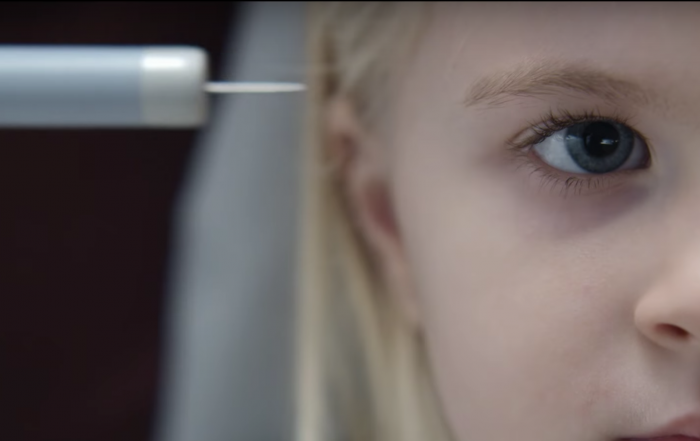 When creating superhumans, society will change in many ways. From demographics and politics to warfare and religion. 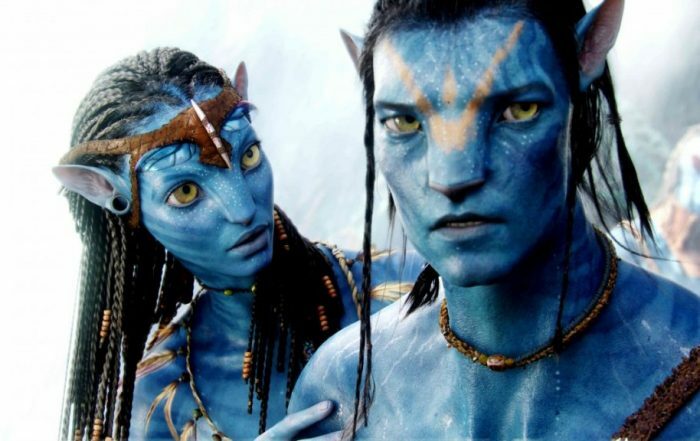 What will happen to Earth and the whole human race when we will have superhuman capacities? This impacts our climate, economy and cultures on a large scale. Peter Joosten MSc. is a DIY futurist and biohacker. 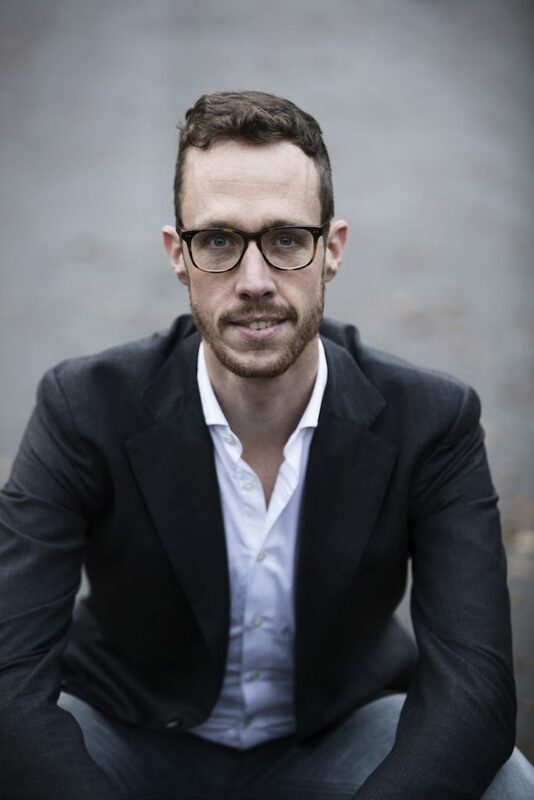 He is the owner of the successful Dutch blog ProjectLeven.nl, where he writes about biohacking, quantified self, technology and health on a weekly basis. He is a keynote speaker and consultant for various companies and institutions about these topics. In his popular podcast show ‘Biohacking Impact’ (Dutch iTunes Top 100), he interviews various experts in the field of technological developments, science, and lifestyle. His mission is to let people think about the implications of the upcoming Superhuman Era. With this in mind, he started the platform SuperhumanTalks.com. 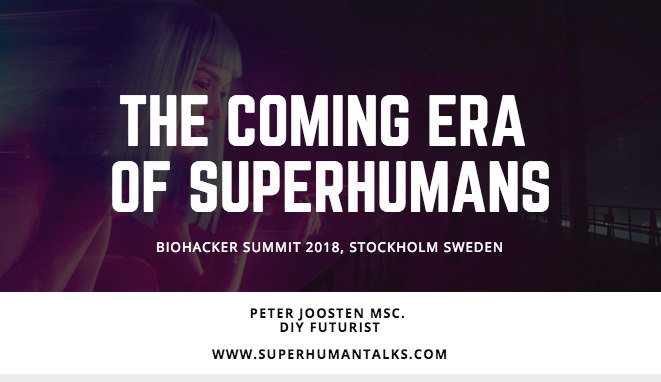 Fill in your email address and I will send you my presentation from the Biohacker Summit 2018 in Stockholm: ‘The Coming Era of Superhumans’. © Copyright 2019 | Superhuman Talks | Peter Joosten Msc.